An extremely free flowering Clematis with an enigmatic colour, best described as a glowing wild lilac with a silvery sheen. Flowers are produced from June to September, followed by attractive seed heads. 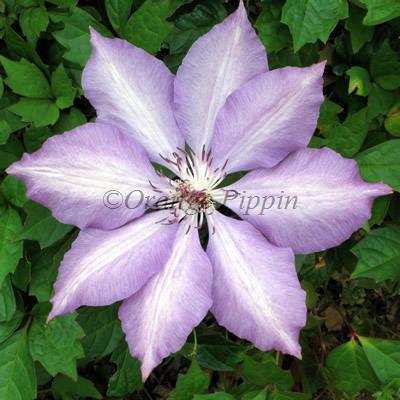 Clematis 'Joan Picton' was raised by Percy Picton in 1971 and was named after his wife. Clematis 'Joan Picton' is a non-evergreen climber which can be grown against a trellis, garden fence, wall, arches, pillars, pergolas, clambering over tree stumps and through large shrubs or planted in a container trained up bamboo canes or an obelisk.